There is so much to do around Water Hall Farm Cottages that it would be nearly impossible to list them all here, so visit www.yorkshire.com and see for yourself the natural beauty of our great county. 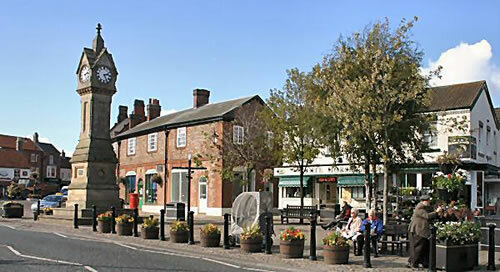 Be sure to plan your visit though - there really is an endless list of things to do, sights to see and walks to enjoy. The local village inn is only a 10 minute stroll from our cottages, whilst the delightful market town of Thirsk offers a wide range of restaurants, shops and pubs skirting the historic cobbled market square. Within a short distance are superb walking opportunities including Sutton Bank with its exceptional panoramic views from where you may wish to watch the gliders take full advantage of the strong thermals hugging the cliffs. 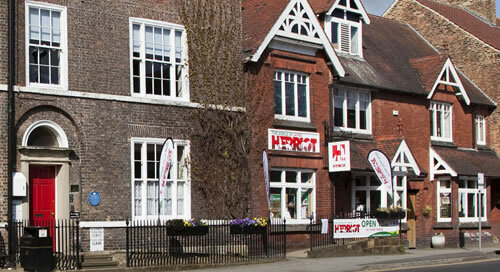 Be sure to visit the James Herriot Museum in Thirsk, and picturesque Helmsley is famous for its beautiful hanging baskets throughout the summer months. Water Hall Farm is an ideal base for those wishing to explore both the Yorkshire Dales and the spectacular North York Moors, and there is easy access to the seaside towns of Whitby and Scarborough. With the magnificent historic city of York, Ripon and Harrogate a short drive from Sutton-under-Whitestonecliffe, there is a wide choice of activities for all of our guests to enjoy.